This morning, I awoke to the news that chocolate butter exists. That’s right, two of the best foods in the entire universe have joined together in one glorious product. Lewis Road Creamery uses Whittaker’s chocolate to make a 72-percent dark Ghana chocolate spread, and oh, yeah: It’s only available in New Zealand for now. So, two thoughts. 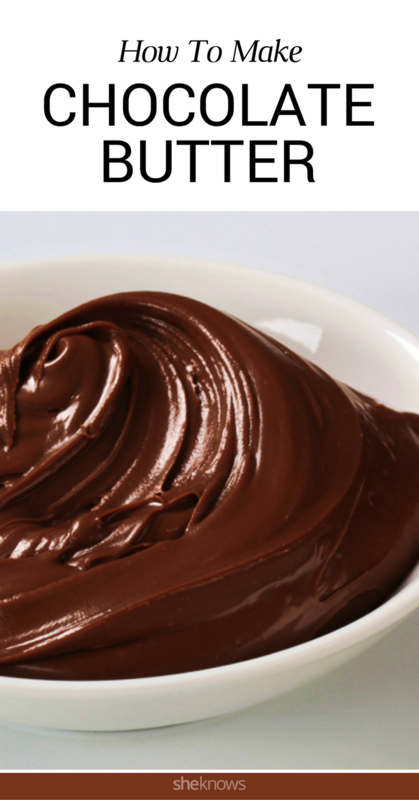 Someone came up with a new way to brand chocolate frosting. Well played, Lewis Road Creamery. This would be super-easy to DIY. According to Lewis Road’s website, these are the ingredients in the chocolate butter: butter (40 percent), sunflower oil, Whittaker’s dark chocolate (17 percent), icing sugar, cocoa powder, vanilla extract. So it’s almost half butter and a little less than a quarter chocolate, maybe more counting the cocoa powder. And it has a bit of icing sugar, which is the same thing as powdered or confectioner’s sugar. 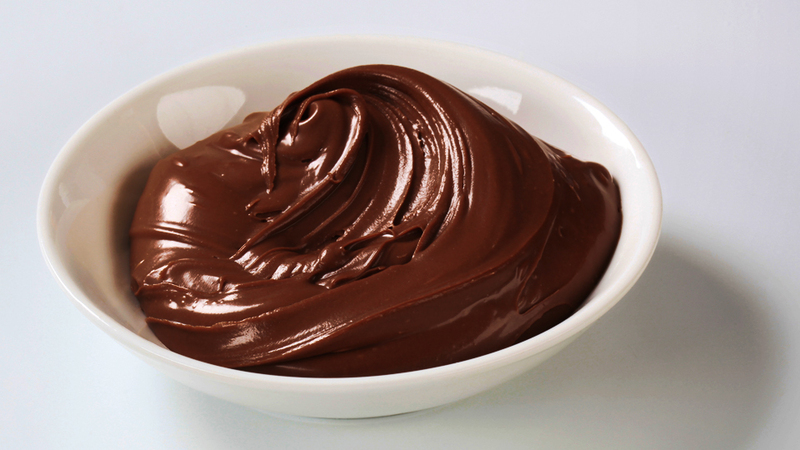 Here’s our recipe for chocolate butter. Temper the chocolate by microwaving the chips with 1 tablespoon of the butter for 30 seconds, stirring, microwaving for another 20 seconds until it’s almost melted, and then stirring again until the chips are completely melted (timing may vary depending on your microwave, but you want to avoid overcooking the chocolate). Let it cool a few minutes. Whisk cocoa powder and powdered sugar into butter. 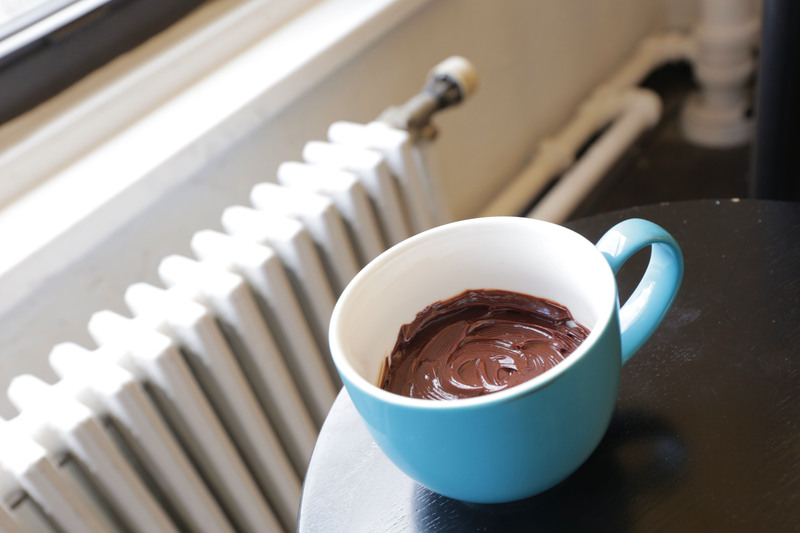 Fold in melted chocolate and then vigorously mix the entire batch. 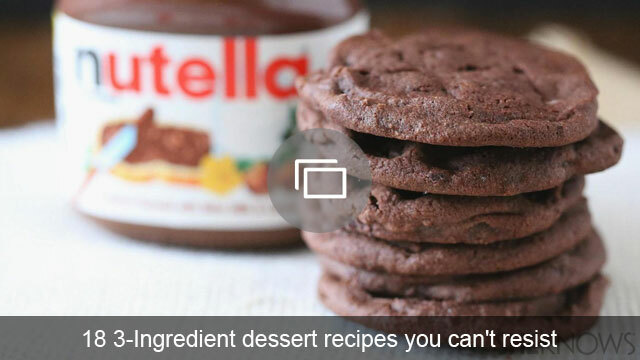 Ideally, you have a hand mixer and can whip a lot of air into this. We didn’t have one at the labs today, so I used elbow grease and a plastic fork. It worked out. Without tasting the original, we can’t be certain this is exactly the same, but it does come pretty darn close. It’s actually more intensely chocolate and lighter than frosting, probably because we’re not using as much powdered sugar. One taster said it was almost like chocolate pudding. I think it’s pretty close to a ganache. We recommend this spread on bread or toast, of course. Or you could dip strawberries and banana slices in it, or use it in place of frosting for delicate cookies like shortbread. I think it would also be good on pound cake or angel food cake.